Subject to these TOU, KTopits.com hereby grants you a revocable, non-transferable, non-sublicensable, non-exclusive, royalty-free license to display the headlines, links, source identifiers and other information contained in the RSS Feeds. KTopits.com may restrict, suspend or terminate your access to the RSS Feeds at any time without liability. We reserve the right to modify the RSS Feeds at any time in our sole discretion, and you acknowledge that the availability of the RSS Feeds is subject to change in our sole discretion. In using the RSS Feeds, you must provide proper attribution to our web site, KTopits.com. 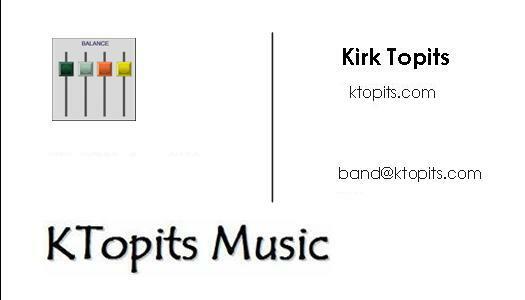 If you provide this attribution in text, please use: "KTopits.com" or "band.ktopits.com" or "dec.ktopits.com". If you provide this attribution with a graphic, please use the logos that we have included in the RSS Feed itself. The RSS Feed also includes the author of each individual story or column in the feed alongside each headline. You may not alter, edit or delete any such information. The RSS Feeds are the property of KTopits.com and its licensors and are protected by United States copyright law and international copyright treaties. You may use the RSS Feeds solely for your personal, noncommercial use. KTopits.com reserves all title, ownership, rights and intellectual property rights in and to the RSS Feeds, all content contained therein, and to KTopits.com trademarks and logos. You acknowledge that you do not acquire any ownership rights in the foregoing by using the RSS Feeds. and your right to use the KTopits.com trademarks and logos is limited to providing attribution in connection with the RSS feeds provided by KTopits.com. You may not sell, modify, translate, copy, publish, transmit, redistribute or otherwise disseminate the RSS Feeds or any portion thereof. THE RSS FEEDS ARE PROVIDED "AS IS" AND WITHOUT REPRESENTATIONS OR WARRANTIES OF ANY KIND, EITHER EXPRESS OR IMPLIED. TO THE FULLEST EXTENT PERMISSIBLE PURSUANT TO APPLICABLE LAW, KTOPITS.COM, ITS OFFICERS, DIRECTORS, EMPLOYEES, AFFILIATES, SUPPLIERS, ADVERTISERS, AND AGENTS DISCLAIM ALL WARRANTIES, EXPRESS, IMPLIED OR STATUTORY, INCLUDING, BUT NOT LIMITED TO, IMPLIED WARRANTIES OF TITLE, NON-INFRINGEMENT, MERCHANTABILITY, AND FITNESS FOR A PARTICULAR PURPOSE, AND ALL WARRANTIES RELATING TO THE ADEQUACY, ACCURACY OR COMPLETENESS OF ANY INFORMATION ON OUR WEB SITES.